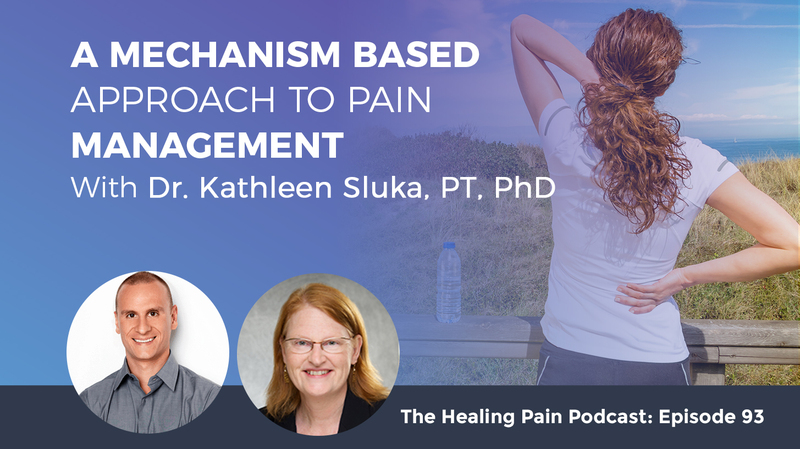 If you’re someone who lives with pain and is trying to figure out the best therapies to utilize, you may be interested with Dr. Kathleen Sluka’s mechanism-based approach to pain management. Dr. Sluka is a neuroscientist and physical therapist who studies in neurobiology of chronic pain at the University of Iowa. She says the mechanism-based approach is also equally important if you’re a practitioner who’s seeking a new and groundbreaking conceptual framework for evaluating the underlying cause of your patient’s pain. Dr. Sluka’s lab has three very important goals – to improve pain management, to discover new therapies for pain management, and to improve the use of currently available treatments for chronic pain. Dr. Sluka discusses the five categories of pain mechanisms as well as the distinction between nociceptive pain, neuropathic pain, and a new term called nociplastic pain. We’re doing something completely new and innovative on the podcast. We have a presentation and a very special gift that accompanies this podcast. I’ll have more information on how you can download it for free. We will be discussing a mechanism-based approach to pain management. This may sound a bit technical but trust me, this is important. It’s useful when you’re someone who lives with pain and is trying to figure out the best therapies to utilize. It’s also equally important if you’re a practitioner who’s seeking a new and groundbreaking conceptual framework for evaluating the underlying cause of your patient’s pain. Joining me is Dr. Kathleen Sluka. Dr. Sluka is a neuroscientist and physical therapist who studies in neurobiology of chronic pain at the University of Iowa. Her laboratory studies both the peripheral and central mechanisms of chronic musculoskeletal pain, as well as non-pharmacologic treatment options. Dr. Sluka’s research uses a variety of techniques to discover more about pain including molecular biology, genetic manipulation, as well as behavioral pharmacology. Her lab has three very important goals. One is to improve the management of pain. Two, discover new therapies for pain management. Third is to improve the use of currently available treatments for chronic pain. Dr. Sluka will discuss the five categories of pain mechanisms as well as the distinction between nociceptive pain, neuropathic pain and a new term called nociplastic pain. The new term was created by the International Association for the Study of Pain. If you don’t have a large science background, some of this topic may seem a bit technical but I have a solution for you to make it approachable and easily to digest. This interview is recorded on video and Dr. Sluka will be sharing a number of important and descriptive slides to accompany her presentation. The slides are really important. She has also given you permission to use the slides for your personal use. All you have to do to download the slides is go to www.DrJoeTatta.com/93download. Take the time to download the slides and maybe even print them out so you can follow along with us and take some notes. This will definitely help you retain some of the information. If you’re a practitioner, the slides make a really great in-service material. Keep that in mind when you go back to the clinic. Kathleen, welcome to the Healing Pain Podcast. Joe, thank you. It’s great to be here. I follow your work in professional journals and many of my physical therapy colleagues know you as a university professor and a pain researcher at the University of Iowa in the physical therapy department. You’re also a licensed physical therapist. You do some great work around pain, pain management, and pain science. How did you become from being a licensed physical therapist to becoming interested in studying the really fascinating mechanisms of pain and pain management? That goes way back to those clinical days. I used to work in the clinic. I saw a lot of orthopedic patients like many of us did. I’ve worked in a private orthopedic patient practice. Most of the patients had chronic pain, a few acute ones, but they almost all had chronic pain. I got interested in studying that in more detail. It turns out at that time there was a really wonderful pain group working not far from where I was working. I was working in Houston. There was this great pain group down in Galveston. I decided to go to graduate school there and I’ve got a degree in anatomy and neuroscience. I joined this great pain group and got some really good training in the basic science mechanisms of pain. After finishing up my PhD and doing a postdoc, I moved to Iowa. From day one, I’ve always been studying the basic mechanisms of pain, but over the years I translated that and started translating a lot of this stuff into people. That’s understanding the mechanisms, taking the mechanisms to people, looking at mechanisms and effectiveness of physical therapy treatments in people, as well as in animals. It has given us a really great insight into what we’re going to talk about. You started out with your Bachelor’s in physical therapy then went on to a PhD and now in neuroscience. That was approximately how many decades ago? In the 1980’s, I’ve got my Bachelor’s Degree. I worked for about four or five years in the clinic before I went back and got the PhD. I came to Iowa in 1996. I have been here for over twenty years. I’m running an active research program looking at basic mechanisms in clinical effectiveness for all those years. When you got your PhD and even when you got your PT degree, pain science really wasn’t a thing. People didn’t really have such an interest in it, right? No, they didn’t. It was pretty much thought that pain was a symptom and we should just ignore it and deal with the function and get them better. We still deal with the function, but we know now we can’t just ignore pain. We end up with opioid epidemics and epidemics in pain that we have in the United States. There’s been a renewed focus on pain. There was a small group of individuals that’s grown over the years. We keep bringing more and more people into it. Now, there’s a bigger focus on physical therapy on pain as well as the rest of the world. Mechanism-Based Approach: Over the years it’s just evolved to having a better understanding of how physical therapy works and having a better understanding of mechanisms. There was a physical therapy journal that was dedicated to pain mechanisms and what physical therapy has to offer to people with chronic pain and to people who may be using opioid that want to come off it. In that journal, you had a paper called A Mechanism-Based Approach to Physical Therapy Management of Pain. The title is really powerful because it really tells you that if I’m a clinician, especially if I’m a physical therapist, that paper was written to give me a framework around the mechanisms of what we do as professionals. That it helps someone with chronic pain. How did you start to develop your thesis around that paper? This has been my entire career. I started studying mechanisms when I got my PhD. We started figuring out what was going on in people with muscle and joint pain. In those days, there were few investigators at the basic science level even looking at mechanisms of muscle or joint pain. Even to this day, it’s not the most commonly studied pain despite the fact that is the most common chronic pain condition out there. There are a lot of studies in neuropathic pain. There’s quite a bit done on cutaneous pain, skin pain, but not so much on muscle and joint. it’s been my whole career. I’ve started out trying to understand the mechanisms. 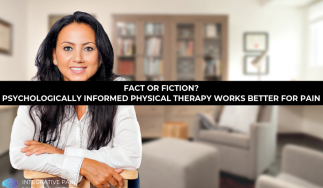 Over the years it’s just evolved to having a better understanding of how physical therapy works and having a better understanding of mechanisms. I think we can meld those two together to get to where we are and that’s how we got to the thesis. Tell us how chronic pain is formed from a mechanism from an injury. I don’t think we know the full answer but I’ll give you a very general perspective. Let’s say you have an injury. You fall, sprain your back, or sprain your wrist. The initial input you get from that injured area, from your nociceptors, are sent into the central nervous system. It immediately translates to central nociceptive neurons that would produce a central sensitization, and that’s a normal response. There’s nothing abnormal about this. We have increased activity of our nociceptors, increased activity of our central neurons, and together those lead to the pain state when it gets up to the cortex. That’s how we perceive pain. This increased excitability is going on in the periphery, is going on in the central nervous system. In the periphery, there could be changes in ion channels that make your nociceptors more excitable. Those channels could be more of them, they could be what we call phosphorylated, so they just become more excitable at the same number. What that means is we can make our neurons more excitable and you can’t see it or detect it. You could simultaneously have this increased excitability of your central neurons anywhere in that nociceptive pathway, from the spinal cord through the cortex. Those neurons could be more excitable. There could be more neurotransmitters like glutamate. There could be more receptors in there that respond to the glutamate like your NMDA receptor. There could be more phosphorylation of those receptors that could lead to more excitability of the receptors. There could be increases in gene production of those receptors leading to even more of them. There’s a whole slew of things that are simultaneously going on in the excitatory system within the central nervous system. At some point, there are some people whose peripheral nervous system calms back down and goes back to normal. The central nervous system stays excitable for some reason, and those are people that we often talk about called central sensitization. The IASP, the International Association for the Study of Pain, has a new term for that. We call it nociplastic. I’ll probably use that throughout here and I’ll try and remind you that that’s what it is. The transition from acute to chronic pain is a whole series of years of work from multiple labs. We’re still trying to figure out how you get from an acute pain state to a chronic pain state. We still think it’s a bunch of stressors. There are a lot of data to support some of these things. It could be multiple insults in low intensities. It could be stress associated with an insult. It could be depression. It could be psychological factors. It could be so many different things. It could be obesity. It could be a sedentary lifestyle. All of those combined with the muscle insult or joint insult or some other stressor together to set the body up to respond in an exaggerated way. Even if people don’t necessarily understand all of that or only understand pieces of it, I think the take home is that pain is very complex. That may incite fear in certain people, but I think it also starts to open people up and make them aware that there’s more going on here than just my back or there’s more going on here than just my thoughts. It’s a combination of a lot of different things that we’re going to go into more. You mentioned IASP and you started talking about their classifications. One being nociplastic, which is new. Can you talk about nociplastic a little bit as well as the other two that are part of that? This is part of the mechanism-based approach, is understanding the mechanism terminology. There are three descriptors based on mechanisms that have been developed by the International Association for the Study of Pain. The first is the nociceptive, which is really due to activation of peripheral nociceptors primarily in acute, nociceptive ongoing input. There’s neuropathic, which is directly due to injury of a nerve or the nervous system in some way that can be done in the peripheral nervous system like nerve damage, diabetes, a metabolic disorder of some sort or the direct lesion of the central nervous system. There’s this new terminology called nociplastic. It’s really meant to be used clinically to replace the term central sensitization. It’s not pain that is not derived due to neuropathic or nociceptive, but due to something else. We don’t know that that central sensitization. It could be due to changes in the central nervous system, but it could also be due to systemic effects or some other unknown mechanisms that we don’t even know yet. We’re keeping that one rather open to talk about that person as having a third descriptor as a nociplastic pain. We think that’s very important on that end. From those three, do patients always fit into one category? Certainly not. Referring to our slides. The first slide looks at the three mechanisms. You can see that the three are overlapping, the nociceptive mechanism, the nociplastic mechanism, and the neuropathic mechanism. They overlap because patients don’t have just a single mechanism. They may have one that predominates over another one, but they don’t have one. Since we’re on this slide, I’m going to go ahead and tell you about the other two components that are here. In the middle we have those three components. The nociceptive, nociplastic and neuropathic. I think of those as the bio part of the biopsychosocial model. At the outside, I’ve put motor systems and psychosocial systems outside those three components. Both of those systems, the motor systems or the movement system and psychosocial systems are influenced by those three systems and they simultaneously can influence those three systems. There’s a give and take between them. The negative psychosocial things can make the pain worse. Positive psychosocial things can make the pain better. The same goes for motor. Some motor systems can be directly influenced by those three different mechanisms in the bio, but motor can also influence those as well. You can reduce pain and you can improve function. You don’t actually have to have treatments directed against a motor deficit to improve function. I think whether you’re a physical therapist who is using manual therapy and exercise and hopefully possibly some type of pain neuroscience intervention, you may say, “This person may need more of the psychoeducational intervention part of it. Maybe less of manual therapy or maybe less exercise in the beginning.” Conversely, if you’re a psychologist, it may inform you that, “I have a part here in playing in the psychosocial aspects of pain, but eventually this person has to wind up in some moving-based therapy to help them out.” What I love about this model is that it’s so simple because I think most practitioners can look at it and really pick up easily and rapidly. They can apply this to the different types of patients I see in the clinic. How does the biopsychosocial model differ from a mechanism-based approach to pain? I like to think of the mechanism-based approach as an expansion of the biopsychosocial model. It’s like an expansion for physical therapists in a way because we’ve included the movement system or the motor systems in this. The bio part again is the nociceptive, nociplastic, neuropathic components altogether. The psychosocial was already in there, but we’ve added the motor. We think that that’s super important because that is function. That’s ultimately what we want to do with our patients, is to improve function. That can be done in many ways. You can reduce pain and you can improve function. You don’t actually have to have treatments directed against a motor deficit to improve function. That’s a new concept for physical therapists because we are trained to fix the problem, fix the motor dysfunction, and fixed the biomechanics. In this model, we think that it includes treating the pain and treating the concepts of pain and the mechanisms of pain so that we will then subsequently improve motor and vice versa. How does motor differ from patient to patient? Does it look the same or do different patients with different types of pain syndromes differ in their motor presentation? Motor is different between different pain syndromes and between different people within the same pain syndromes. You have to sit in there and evaluate that, which we’re really good at. This is what we do best. There will be some people that will have, say a nonspecific lower back pain with increases in activity and facilitation of the motor system. You might pick that up as a muscle spasm or a tightness in the lower back. There are others who will have an inhibition of the motor system with the same issues. That inhibition will look like muscle weakness to you. Unless you do a very specific evaluation, you won’t pick those up. Sometimes the motor is protective and it should be there. Sometimes it’s not protective and you have to determine when it is protective, when it’s not protective, when it’s excited, when it’s not excited. There’s a whole slew of these and we’ve described a number of them in the paper so you can look in more detail. The motor system, and Paul Hodges has shown this many times, is just quite variable among people. It turns out so are pain is equally variable among people. Just because you have fibromyalgia doesn’t mean you have central sensitivity and that’s the only thing driving your pain. Not everybody with chronic pain has psychological dysfunction. I can show you some variability in that. I wanted to point out this because there is a lot of variability in patients. This is just showing the variability in central inhibition, which in people with fibromyalgia is lost on average. I’ve plotted a whole slew of 174 patients with fibromyalgia that we’ve done in our clinical trials. You can see a normal response is above 100 here. You can also see that there are people that are perfectly normal when compared to healthy controls. We also have healthy controls who have no inhibition. While the average is one thing, there’s just so much variability in patients that we need to understand what their variability is so we can better treat it. I would not treat a patient with really good central inhibition by trying to increase their central inhibition because it’s already there. I try and increase their central inhibition if it were lost. That’s what that’s really saying. The next slide shows the psychosocial variability, which I think is also quite fascinating. Psychological factors are quite variable. These are fibromyalgia patients, and we’ve looked at hundreds of these patients. I just went out and figured out what percentage of them have these different psychological factors. 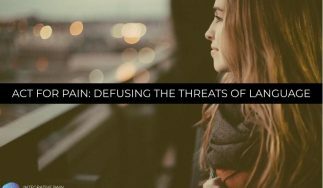 One of the factors is pain catastrophizing, which has been shown over and over to be important in pain, making it worse, and giving us a poor prognosis. In our patients with fibromyalgia, only 26% of them had high pain catastrophizing, which meant 74% of them are normal. Treating them for high pain catastrophizing if they’re normal is not going to be helpful for you. Only half of them have a fear of movement. This helps us understanding these different mechanisms. Evaluating these different mechanisms helps us to really personalize the treatment, use a personalized medicine approach and a person-centered approach instead of giving a cookbook approach to every patient with every diagnosis. Oftentimes I get questions from other practitioners that email me, they listen to the podcast. These are not physical therapists, they’re other practitioners who say, “Why can’t I just send my patient to the gym or to Yoga?” Of course, we should encourage physical activity in all of our patients. However, as Dr. Sluka was saying, the motor system of the neuromuscular system really is different depending on the patient. You need a licensed professional. In my case, I would argue that a physical therapist is best for this, to figure out what type of specific exercise program they need based on how they present, because everyone’s going to present differently. The pie graphs here with the psychological factors are along the same lines. We can’t just say that every person with chronic pain is a catastrophizer. They may have different variation in them. Should we talk about the different categories of pain mechanisms? Sure. To do a mechanism-based approach, and this is a very simplistic side, you have to understand how your treatments work. We also have to understand the science of pain. We’ve talked about that a little bit about the different categories. In order to apply it, you have to understand how our treatments work. Years ago, we had no idea how our treatments work. I spent years trying to figure that out. We have a lot better understanding of how many of our treatments work based on some good neuropharmacology. What I’m showing you is that many of our treatments work on different aspects of these different types of mechanisms, either nociceptive, or nociplastic, neuropathic. They also work on all of these different mechanisms. The mechanism-based approach isn’t really that novel and new. This is something that medicine has been doing forever. This is how they applied pharmacological treatments. If somebody has neuropathic pain, the first line treatment in medicine is a Gabapentinoids Gabapentin and Pregabalin. If they have inflammatory pain, your first line treatments are anti-inflammatories. This isn’t new. This is something they’ve always done. We applied the same approach in physical therapy by understanding our own mechanisms. It turns out that the mechanisms for our treatments’ work are way more complicated than the mechanisms for pharmacological treatments’ work. Exercise has effects across the board. It changes nociceptive processing. If reduces calcium channels in nociceptors, making them less excitable. It changes the nociplastic system by increasing central inhibition and decreasing central excitation. It promotes healing in nerve injury. Exercise has the strongest evidence to support it in almost every chronic pain condition. It reduces psychosocial constructs like fear, depression and anxiety. We all know it improves the motor system and function. It works across the board, but it works on various different mechanisms. Which type of exercise works on which type of mechanism, we’re not really sure. We do know that aerobic can strengthen the exercises work on almost every one of those mechanisms, and the data pretty much shows that it works on every one of those mechanisms. I’m going to stick with exercise because this is really important. The fact that exercise works across the board and we know that exercise has the strongest evidence to support it in almost every chronic pain condition is probably because it does work on so many different mechanisms. It’s the best multimodal treatment there is for pain because it does that. It also means that we may not need to use specific exercise programs. It turns out that in exercise alone, that if you compare, say for low back pain or core strengthening program, which we think is the gold standard to aerobic exercise or motor control exercises are a host of other types of exercises, they are equally effective. Not one doesn’t seem to be better than another. It doesn’t matter what exercise program you do, the program that they should do is the one that they will do. It’s part of our job as a coach to figure out what they will do and get them going on something and give them the mechanisms and the treatments to make that happen. It turns out that TENS works primarily on nociplastic pain. It has a very small nociceptive effect. If you have somebody with a loss of inhibition, a lot of excitation, TENS works really to help them with that. Manipulation, mobilization, and massage work both on nociceptive peripheral mechanisms, but they also have a lot of central neural effects. They have a lot of peripheral neural effects beyond just changing the movement patterns. That’s really important because we can start to jump into using those. Even if someone doesn’t have a restriction in their L4-L5 or whatever it is you want to look for, it can still have a neural effect. You don’t necessarily have to do the quite the same thing. Most of that data has all been done with either grades for high thrust manipulations, there’s not much evidence to suggest that any of those mechanisms worked with a grade II mob, contrary to public belief. That’s interesting because that really starts to inform a type of manual approach they take in working with the patient. A lot of physical therapists told me when someone is in “a lot of pain,” you should do a grade I mobilization but you’re saying that really supports three and above. Yes. I’ve hunted for the data. I can’t find the data to support using a grade I or II mobs. All the data that’s been done in pain has been done with threes, fours and high thrust manipulations. I don’t see any reason to even go with that. It turns out that it’s not that much. The other thing that I think is really important when we’re thinking about this is the effects of things like mobilization on pain or TENS for that matter. TENS works best while the unit is on. Mobilization effects are very short lived. They last about 30 minutes. Massage effects lasts as long as you’re doing and when you stop doing them, they go away. They’ll have effects over a ten-week period but they don’t last long. This isn’t all that unusual because exercise doesn’t either. We know we can’t exercise for two weeks and expect to have long-term benefits. We know it has to be done regularly. That doesn’t seem all that unreasonable, but it’s the same for everything else we do. None of these things are having long-term effects from what we can tell on pain itself. The only thing that probably does is your education. Education is changing beliefs and patterns, changing thoughts, and it can change connections in the brain. We know that it can change how the brain responds to different pain conditions and have long lasting effects because you’re actually just changing belief systems. It only works centrally. It’s not going to have a whole lot of effect in the peripheral nervous system. Thinking about putting all those together, this is why you need that approach. Manual therapy manipulation only has an effect for about 30 minutes. Maybe some people would say, “If it’s only 30 minutes, then why do it?” We could also argue that if that’s the first intervention I do during a treatment session, then it may allow my patients to move easier during the session or two. I can teach them a self-mobilization they can do at home, which enables them to self-treat and help them cope better. The topic of education is one that’s so interesting to me. Lorimer Moseley probably has the best research on that. Even just the work I do here in my podcast, it’s incredible to me. People reach out to me all the time and say, “I listen to your podcast and I just feel better knowing that I know about pain, knowing that I’m not necessarily hurting myself.” You’re saying it only works centrally. It has no effect peripherally? Yes, because it’s changing your belief systems. It’s changing your cortical processing of pain. It’s not really having an effect changing how your nociceptor fires. It makes sense if you think about what you’re doing with an educational program. I like to take education to the next level. I think education is beyond education now. I think we should always be putting it into a self-management program. I like your idea of not only doing the manual therapy but giving them a self-manual therapy they can do at home and be part of their home program now. That’s the way I think about a lot of our treatments that we used to say are passive. We shouldn’t be doing these passive treatments to patients. We should get away from that. TENS is the same way. There’s no reason why they shouldn’t be using safe and effective treatments at home to help manage their pain and maybe that would stop them from reaching for an Ibuprofen or an opioid. We did that to ourselves because we said we don’t want to give these patients passive treatments. We want them to be active participants in managing their pain with safe and effective treatments. If you have a lot of pain one day and it hurts to put your foot on the floor and take that next step and you’re getting a five out of ten every time you take a step, you’re not going to walk that day. You’re going to need to do something else to help manage that pain. As much as we want them to walk every day, they may not. If we could give them other tools, that’s really helpful. Whatever those tools are that work best for them is fantastic. Try to think of these self-management principles that we can add in there to come up with a bigger picture for our patients. If we dial into the TENS, I’ve been a therapist for 27 years. I think we’ve gone over these waves and hurdles about TENS and ultrasounds and another one. TENS seems to be a little bit back en vogue. Do we know specifically the type of TENS that helps someone? One of my first projects when I came here on faculty was a group of PT students who wanted to do a project. They chose to do TENS in rats. It started this whole series of studies looking at how it works and then translating how it works into clinical practice. What we’ve come up with is based upon all those years of experience, the most effective TENS methods are is if you could mix the frequencies between low and high frequency, with a high intensity as high as they will tolerate, it doesn’t matter if it’s motor contraction or not, even for high frequency and give it to surround the area of pain. Those are the three probably key components we think to make TENS the most effective. If patients can get their heads around that, it’s pretty easy to do. We need to embrace pain as a disease when it becomes chronic. We need to embrace all the treatments we have. You can buy them now over the counter, which is great. They can do that. The instructions aren’t great in over the counter stuff, but we actually have built online instructions that are posted on our university site. We built these instructions complete with videos so that they’re readily available and free to the public so that patients can follow them and use them. We’re using it for another study where we’re trying to implement TENS and exercise into primary care practice. They’re there so that patients can use them. We think then that helps and also for physical therapists to use them for their patients as well. Years ago, they used to actually educate us in school. You should never turn it too high, it should just be gentle and barely sensory. Over the course of the years, things have changed. Before we start to move onto the last part of the interview, I have a couple other questions for you. Where do you see the pain mechanisms in the future as far as the research goes? There have been some studies in the pharmaceutical world testing pain mechanisms and seeing if we can match treatments to mechanisms and have shown better effectiveness. Some of our pharmaceutical trials were matched up against mechanisms. I would like to see clinicians and researchers actually test these theories and make sure that we are getting better treatments by matching mechanisms to treatments. We have some data that shows that TENS works for those with Fibromyalgia, for instance, which is matching the loss of inhibition with increased excitability. You see that in fibromyalgia with central nociplastic pain with the treatment of TENS. We need more of those to try and target and see if that approach routinely comes out to be an effective treatment, and if that can be better than just say the standard old treatment that we’ve always done for patients. That needs to be done. Ultimately, we’d like to see it better implemented. We need some better tools to try to determine how much of a component of their pain might be peripheral, especially in a chronic pain patient. It’s much easier to determine the central mechanisms and the chronic pain patients in the psych mechanisms. The peripheral mechanisms, unless they have a big old information, that can be somewhat difficult to determine in our patients. We need to come up with some good assessment tools for that. We need some better assessment tools to be used clinically for the components of central sensitivity. What’s out there right now is in its early stages and it needs some real validated contesting before we can go further with that. Right now, we do most of it from history and physical to try and figure that out, which is fine. It would be nice to have something a little more solid for the future. I know people are working on validating and testing those. As healthcare professionals, so let’s take the physical therapy profession, we have a number of different tools we can help people, but what do we need to do as a profession to step up and step forward to help people as we go through this chronic pain epidemic and real change in paradigm? We need to embrace pain as a disease when it becomes chronic. We need to embrace all the treatments we have. We need to think outside the box a little bit for what those treatments are. We need to really step forward and be active players in self-management strategies. The National Pain Strategy and the Federal Pain Research Strategy both really called out self-management and nonpharmacological principles. Along with the CDC guidelines that suggested that non-pharmacological treatments should be first line treatments. Recent guidelines from the American College of Physicians had published in Internal Medicine, saying first line treatments should be non-pharmacological treatments. This is us and we should be in there with everything we do. We shouldn’t say we don’t do passive therapists, or we only do active therapy. We should do everything. We should be active players and we should be vocal about it. I think that we may need to give more education to primary care providers to help make those things happen. We may need to provide services and resources to primary care providers so that more patients who are coming in there are being referred to physical therapy. Now, only about 15% of patients with chronic pain that are coming into primary care are referred to physical therapy. Should they all be? Maybe, maybe not. Maybe some of them can manage it on their own with some guidance from their primary care physician, but probably more than 15% should be coming to us. We need education to get those patients to the next level. We need to be more vocal and more active. I think that will be useful for all physical therapists. When professionals like you and I hop on online and just chat about pain, it’s really beneficial for the public. 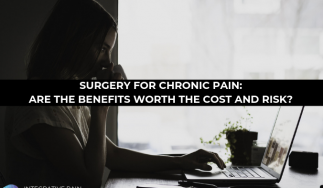 There are things we can do that are free and low cost that go a long way for helping people with pain as well as helping our profession get elevated to the level that we really deserve. We are the ones who can provide non-pharmacologic therapy, whether it’s a passive mode or a combination of passive and active. I had been talking to Dr. Kathleen Sluka. She is a physical therapist and a pain researcher at the Department of Physical Therapy and Rehabilitation Science at the University of Iowa. She has amazing research. If you want to jump into pub med or look at her research, she’s going to tell you all the ways you can contact her and find out some more information. Thank you. You can just Google my name and it comes right up. You can email me. You can go to my website at the University of Iowa in the Department of Physical Therapy. You can follow me on Twitter, @ksluka0101. I’ve written a book that goes through all of these mechanisms and all of these in way more detail than you probably want. It’s all on evidence-based approach and an evidence-based book that talks about the mechanisms as well. It’s called Mechanisms and Management of Pain for the Physical Therapist published by the IASP Press. I want to thank Kathleen for being on the podcast. It’s been great. I love the show. If you’re joining us later, go on and take a look at the slide. She has great, incredible slides that really give you a great framework about a mechanism-based approach to pain management for the physical therapist. Check her out on Twitter. Check her out at the University of Iowa. Share this out with your friends and family on Facebook and Twitter. If you’re new to the podcast, hop onto and sign up for the email list for each week. I will send you the latest podcast that has to do with the healing pain naturally. I’m Dr. Joe Tatta, it’s been a pleasure being here with you. Dr. Sluka is a professor in the Department of Physical Therapy and Rehabilitation Science at the University of Iowa. She received a physical therapy degree from Georgia State University and a PhD in Anatomy from the University of Texas Medical Branch in Galveston. After a postdoctoral fellowship with Dr. William D. Willis, she joined the faculty at the University of Iowa. Dr. Sluka’s research focuses on the neurobiology of musculoskeletal pain as well as the mechanisms and effectiveness of non-pharmacological pain treatments. She has published over 200 peer-reviewed manuscripts, numerous book chapters, and a textbook on Pain Mechanisms and Management for the Physical Therapist. She has received numerous awards including the Marian Williams Award for Research in Physical Therapy and Catherine Worthingham Fellowship from the American Physical Therapy Association and the Frederick W.L. Kerr Basic Science Research Award from the American Pain Society. She is actively involved in the International Association for the Study of Pain, the American Pain Society, and the American Physical Therapy Association serving on committees, task forces and society boards.